MartinLogan - Founded in 1983, MartinLogan designs and manufactures critically acclaimed electrostatic loudspeakers for stereo and home theater use. MartinLogan produces floor standing loudspeakers, home theater loudspeakers, stereo loudspeakers, subwoofers, in-ceiling loudspeakers, and in-wall loudspeakers. With an MSRP of $3,995 per pair, MartinLogan’s ESL-X loudspeaker features the company’s proprietary take on a technology that is decades old. 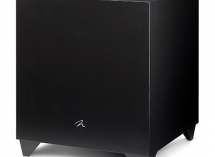 The latest MartinLogan subs provide value through the inclusion of features that include room equalization, wireless connectivity and efficient Class D amplifier designs. MartinLogan eliminates online retailer deals, including Amazon.com. Opts for distribution model with integrators, A/V retailers, selected online etailers. Audiophiles and CE pros can check out what's new in Paradigm, MartinLogan and Anthem speakers at CES 2017. We're talking in-wall speakers, DTS:X compatibility and outdoor audio. Thinking about giving in and going the soundbar route? Check out this roundup from 25 well-respected audio manufacturers. 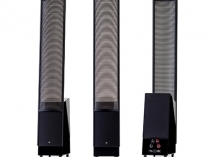 The ESL 9 loudspeaker from MartinLogan utilizes the company's CLS XStat electrostatic (ESL) transducer and dual 8-inch aluminum-cone woofers.